Eggy Distro is now a physical reality at the Half and Half on SW Oak. I'll be curating a small and rotating selection of tapes from labels across the country, which I'm really excited about because outside of tracking this stuff down on the internet and forking a lot of money over to paypal and the postal service it pretty much doesn't exist. It's also tough to know what's even out there. 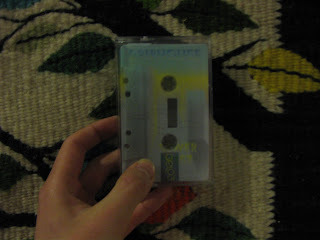 The amount of amazing music being put to cassette tape right now is really exciting and I'm happy to be able to help get it in the hands of people who might not otherwise know it existed.